Snrky: So does this mean you no longer have a use for those headphones? So does this mean you no longer have a use for those headphones? Even though having a (closed) door is no guarantee for non-interruption, I am a big believer in the idea of creating quiet working spaces for developers. Certainly there are times where collaboration is important, but when it comes to heads-down coding, there is simply no replacement uninterrupted time/space. In fact, when I started my latest job I was given the choice of a large space with a window but no door, or an interior office with a door. Which one would you take? Personally, I love having an office. Title: So does this mean you no longer have a use for those headphones? 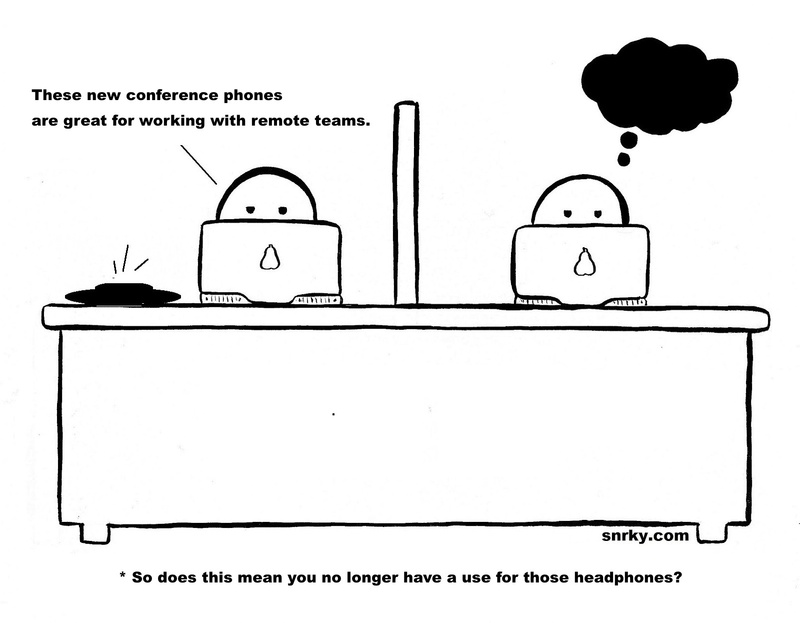 Snarky: These new conference phones are great for working with remote teams.